Equestrian sports are known to be one of the oldest types of games in the world, and up to this date, they are still very popular. These sports were mostly played amongst people belonging to a particular niche. These days, several young people are interested in it, but just like any sport, it is essential to have the right gear on yourself at all times for safety. Hence, in this article, we will review three of the best horse riding helmets for you to find the perfect one for you. The three products we chose to review below were manufactured with the best interest of the riders in mind. 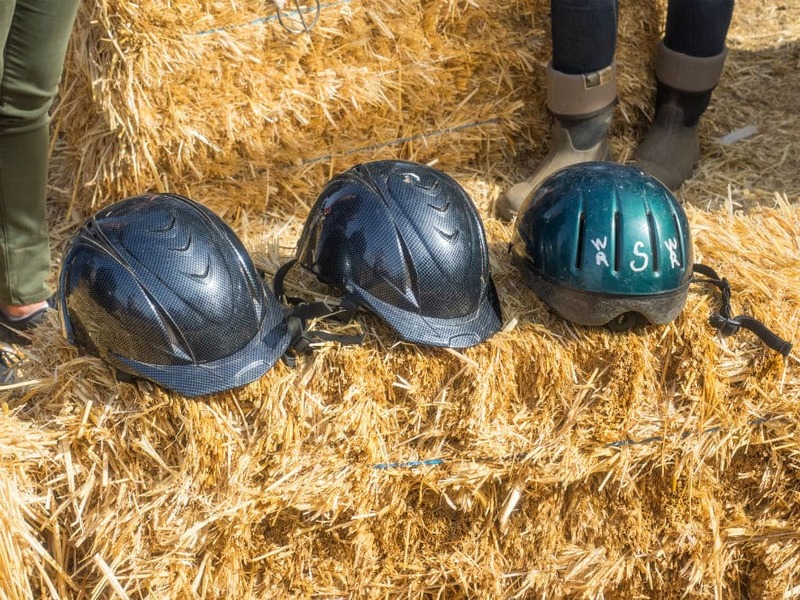 If you are on the search for a helmet that will not only fit you but also your children, nieces, and nephews, then the Troxel Spirit Performance Helmet is exactly what you need since it has great adjustability. This helmet fits absolutely true to size, and you will get four size options starting from XS and going all the way up to large. It also comes in a variety of color, like turquoise, pink, and purple, and all of these have different designs all over. Having said that, there is a plain black helmet too for those who are looking for something simple. What is great about this helmet is that it is very light in weight which means that it will not cause any pain to your head and neck when you wear it. Likewise, it has flex top visor to ensure that your eyes are always protected while you ride the horse. Most important of all is the fact that this helmet has great breathability to give your head enough air to prevent too much sweat and bad odor. Even though it does not get dirty or smelly as often, you can wash it; thanks to the removable liners. However, it is best that you just hand wash and air dry them instead of using the washing machine and tumble dryer. The Ovation Protégé Helmet is probably one of the oldest helmets manufactured by the company. This helmet is quite well known for how lightweight it is—just under a pound. It has a great fit, all thanks to the adjustable dial that will make it feel as if it is custom made for you. This product is available in five various sizes, from XS to XL. Likewise, there are also a number of cool colors to choose from like classic black and white, blue, pink, and amethyst. This helmet comes with vents located on top of it which will offer you sufficient air flow to keep your head fresh and also keep sweat at bay. These vents also have a large mesh to prevent any bugs or even debris from entering the helmet. In addition, this helmet comes with a cutting-edge high-density ABS that offers you protection at all times without adding any extra weight to the helmet. In terms of its certifications, it is ASTM/SEI certified as well as CE Certified to European Standards. The helmet has an adjustable dial that offers you a snug fit. IRH (International Riding Helmets) is a well-known brand and have been manufacturing only high-quality helmets for years. The company claims that their helmet is a perfect blend of fashion and function, and we must say that we could not agree any lesser. Altogether, there are four sizes that this helmet is available in which starts from the size small and goes to extra-large. The helmet is available in black and navy blue, but each color has two variants. One being matte while the other being gloss or shiny. This helmet is also ASTM/SEI Certified. This helmet comes with superior comfort standards since it has two snap-in liners that provide the rider with a custom fit. These liners are quite superior from your average helmet liners as they are not only high tech, but also have a fast-drying ability. Likewise, they are interchangeable and can be washed and dried in a machine. Further, the company offers two different inserts for every one helmet purchased. In terms of the ventilation system of this helmet, there are two altogether; one on the side and the other on the rear. This kind of placement ensures that your head remains cool at all times and also reduces the amount of sweat that would possibly accumulate. This helmet also has a chinstrap that has a quick release and a Velcro closure with easy adjustability. This product is very comfortable to wear and can easily fit any person. The chinstrap is easy to remove, adjust, and lock. The chinstrap tends to be slightly uncomfortable after prolonged use. The products above are amongst the three best horse riding helmets and selecting any one of these will ensure that you will have a safe and comfortable ride on the horse. It will all boil down to your specific needs. If you are one who prefers classic helmets with very little design, then the IRH 4G Helmet is something that you will love while the one from Ovation will be best if you want to stay away from dust and insects. On the other hand, if you are just a new rider who is looking for a helmet for everyday use or if you are buying one for your child, then the Troxel Spirit Performance Helmet is perfect for you. The design on the first helmet caught my eye for my daughter, but I am more a fan of function over fashion. If I choose a helmet for her, I should probably go for something with the right balance of being lightweight with decent protection am I right? I want to make sure she’s safe! Which one of these brands do you think fits that bill? My granddaughters would love these helmet i sure it would be more about style then saftey but all these helmets seem to be built very well still i would have to lean towards the safest.Not sure but can helmet colors be a distraction to other horses. I used to horse ride when I was little. On ponies, it’s not that intriguing, but when you jump on an actual horse which is around 2 meters, things start to get REALLY scary. That’s why you should always get yourself a good helmet because many things can go wrong with horse riding. Hey Tyler, hahah yes that is true that things can always go wrong and helmets are definitely a good idea when you’re jumping – you do progress slowly to jumping though generally and it’s not scary when you get the hang of it.